Do you still love your faucet? How old is your kitchen faucet? If your faucet were to break again within the next two years, how readily available will the parts be? It is an easy answer when someone says their faucet is outdated and they would love to spruce up the look of their kitchen with a new faucet. It is often not much more to invest in a new faucet than it is to repair your existing one. The age of the faucet is another key factor. Typically we recommend replacing your faucet if your kitchen faucet is older, the body of your faucet with age and hard water can erode over time, this frequently means that the repair won’t have a lasting effect and we never want to see our clients continue to invest in repairs more than once. If the faucet is outdated parts can be hard to come buy. Manufacturers over time tend to stop making repair parts for older faucets as technology and appearance improve and change. Here are some tips when deciding how to choose your new kitchen faucet if that is the route that you decide is right for you. Don’t choose a cheap faucet. Choosing a lower grade faucet will only cost you more money in the long run. It has been our experience that clients that tried to save money with their initial investment often end up spending more than 3 times the initial cost in repairs over the lifetime of the faucet. Faucets are something you want to invest in and keep for many years to come. As a wife, mother and business owner I recommend that clients choose a single handle, lever style faucet, and if it is in the budget I also recommend choosing a touchfree style faucet. A lever faucet allows our clients the ability to bump the faucet on with their wrist when their hands are dirty with food preparation. Cross contamination of food born illnesses can be more easily prevented when dirty hands aren’t grabbing onto faucet handles. This is also the reason that I love the touchfree styles for residences as well. Finish is pure preference, there are many beautiful and trendy finishes out on the market today. When deciding on a finish consider the warranty on the finish and any limitations there are on the finish. Many finishes void their warranty if certain soaps or chemicals are used. If choosing a high end finish I always recommend a water filtration system as hard water is incredibly wearing on finishes and can ruin them quickly. Last but not least, what are my favorite brands. Personally and professionally I love providing and installing brands that instill confidence in our homeowners. When making the investment of a new kitchen faucet you want to know that you’re going to be able to enjoy it for years to come. Some amazing brands that have stood the test of time are Delta, Moen and Price Pfister. If you have questions about choosing your next faucet or need help replacing your kitchen faucet don’t hesitate to call our office, we are more than happy to help you choose based on your lifestyle, budget and taste. 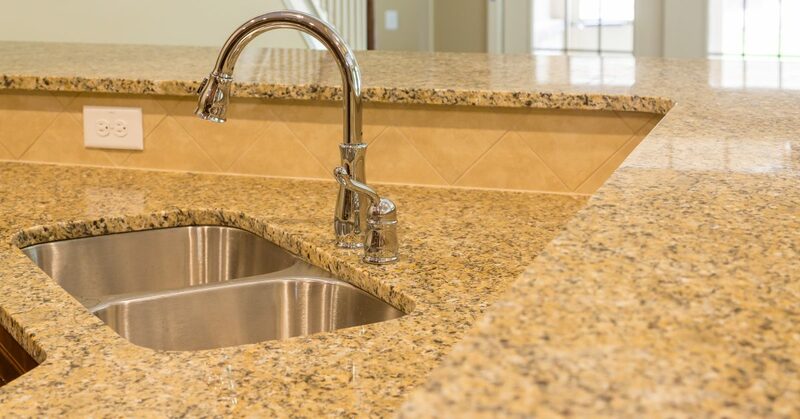 Whether you need kitchen faucet repair or kitchen faucet replacement, the professionals at Robins Plumbing can help! We specialize in a variety of residential and commercial plumbing services, and we pride ourselves on providing exceptional customer service to each and every one of our clients. We specialize in drain cleaning, water heater repair and replacement, gas lines, backflow prevention, water treatments, and much more. If you live in the Phoenix, Glendale, Scottsdale, or Chandler area and you’re in need of a professional plumbing company, contact Robins Plumbing today. Check out our reviews online to see what our plumbing customers have to say about us!